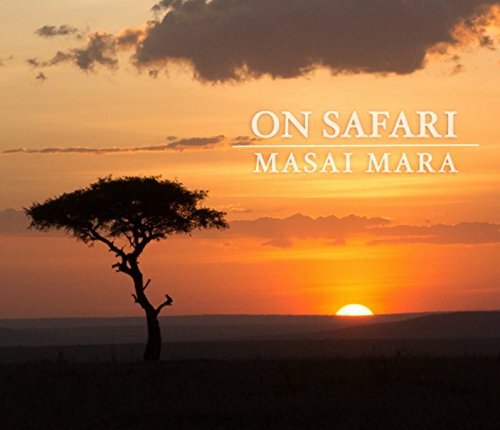 Masai Mara was a once in a lifetime experience and I was grateful to have the opportunity to have this adventure. I had a wonderful time being able to capture photographs of the wildlife and landscape and I wanted to share what I saw with others so I'm so excited to have my first photobook on sale at amazon. We’ve all heard the phrase “thinking out of the box”. But it is amazing how we rarely heed the advice. We often find ourselves in our old ways or following what others have done convincing ourselves that’s how its always been done or that we must follow exactly how we have been instructed to do something. And we find ourselves stuck in a cycle of routine. We can all learn and strengthen skills at the base level and perfect our craft. Once we have done the latter we must recognize that those skills can takes us so far, to take it to the next level we must think out of the box. We must get creative and imaginative using the skills we’ve acquired. This is where we get to stretch our creative muscle and this is where we get in touch with our unique and authentic essence. It reminds me of the phrase, “You have to learn the rules to break them”. For example in the field of photography we can see a myriad of personal styles; some stand out more than others…why? Those who stand out have a very strong presence of personal style. They’ve explored a part of their skill and found something that spoke to them or they looked at the subject and technique in an entirely new way and developed a unique style all together. They have taken a style that we may see many do and then do something completely different with it. Some have chosen to take photos only at certain angles, some have chosen to portray their subject in a particular stylistic color using a certain technique and some have opted to only shoot a certain subject matter and only in unconventional ways. Another example of this we can see in inventors. Inventors have a way of looking at impossibilities as possibilities. Most inventions came about by someone thinking out of the box; someone who stepped outside of a habitual and conditioned train of thought and discovered a new way to solve a problem perhaps by combining two completely different ideas into one or taking an existing idea and changing it slightly for better results. In any case this is where creativity happens. Looking at a situation differently than one would normally see it sparks creativity and allows for newer, progressive, unique ideas to come about. And sometimes thinking out of the box can also help us discover our authentic self by helping us to step out of the way we have been conditioned to think and really start discovering ourselves and our potential. Letting go of our limited self image of our selves and allowing a new way of doing something, perhaps breaking form routine and trying something different can help us discover that we are not just our self image but so much more than who we think we are. Impossibilities may start to become possibilities. Ask yourself how you would approach a problem, project, photo, design and yes even life itself differently. Combining and mixing existing ideas and creating new concepts or way of looking at or doing something is thinking out of the box and a vital component of creating. This is where your personal style emerges and your unique expression and authentic self shines. There is a misconception that we should conform to or mimic what everybody else is doing. Sometimes daring to be different is what helps us progress and evolve. I used to think that I should know everything about a topic before I pursued it either in conversation or action so as not to appear foolish. Let’s face it we don’t know everything about everything. That’s the whole point, that’s the journey we are on…discovery. It we don’t learn we don’t grow, don’t progress – AHA! I wish I could go back and tell my younger self, it’s okay that you don’t know everything. It’s okay to ask a question even if it seems foolish. We never stop learning. I’m continuously reminding myself of this because yes from time to time I fall back into that state of mind where I feel foolish for not knowing something. Asking a question that teaches us something isn’t limited to asking someone else, it can also mean asking yourself a question. Discovery and exploration fuel creativity. Self-discovery is just as important. Learning about your self can change your life. It can unleash that creativity and potential you might have hidden deep. Today, ask a question that teaches you something. Loving Vincent, Bringing Fine Art to Life. Loving Vincent is the world's first fully painted feature film about Vincent Van Gogh, a famous and influential post Impressionist painter from the late 1800's. It emerged from director Dorota Kobiela's passion as a painter and out of reading Vincent Van Gogh's letters which gave birth to and inspired the story for this film. The movie's plot explores the man and the story surrounding his death. Vincent Van Gogh's stylistic paintings are brought to life by combining paintings and film. This was done by using many fine art painters to help seamlessly fuse the real actors with the characters in Vincent's paintings and helped bring movement from painting to film. It is incredible and exciting to see how the painters, cast and crew worked together to bring us this painted feature film. Can't wait to see it. "Geniuses" Catching The Eye of Movie Makers Give Us A Refreshing Perspective. In the recent years movies about physicists, mathematicians and geniuses have caught the attention of main media. Movies such as The Man who Knew Infinity, about Srinivasa Ramanujan, a mathematician from India who made his way to England and whose mathmatical genius brought forth formulas that are used today to study entities such as black holes. Or the movie Imitation Game about Alan Turing, someone who now is known as being the father of theoretical computer science and who helped defeat the Nazis with the Enigma Machine. And the movie Theory of Everything about Stephen Hawking, the well known physicist. In the movie we get a glimpse at his life and his journey. It's as if we are having a history, science, physics and/or math lesson all in the form that we all can relate to. It makes the subject and the people more relatable, intriguing and inspiring. It introduces us to the world of math and science, a world of innovation and discovery and the beauty of it all in a way that we would not have looked at otherwise. It portrays a story of these remarkable people, geniuses as it is. It allows us to see a glimpse into their world but at the same time it makes us realize that they are just like us. It shows us their obstacles and how they were able to still achieve greatness despite their hardships and sometimes because of their hardships. It's wonderful that we are seeing more movies of this genre. Not only are we entertained but we are educated and inspired at the same time. It helps us discover and take a deeper look at something we might had avoided just because it may have been out of reach or difficult to understand. It introduces science and it's subjects in a much more approachable way. Value is placed on the mastery of skill and craftsmanship as it should be. Knowing that someone has taken the time to meticulously create a product justifies the monetary value placed on it but that isn't the ultimate value. The value is the story behind the product, it's the labour and skill and in many cases it's about the people and communities that bring us such creativity. Hand crafted products offer quality and artistry. It allows for creativity to flourish. Every step, every stitch is a creative act. This is what I see when it comes to the craft of making authentic cashmere and pashmina shawls in the foothills of the Himalayas in Kashmir, India. 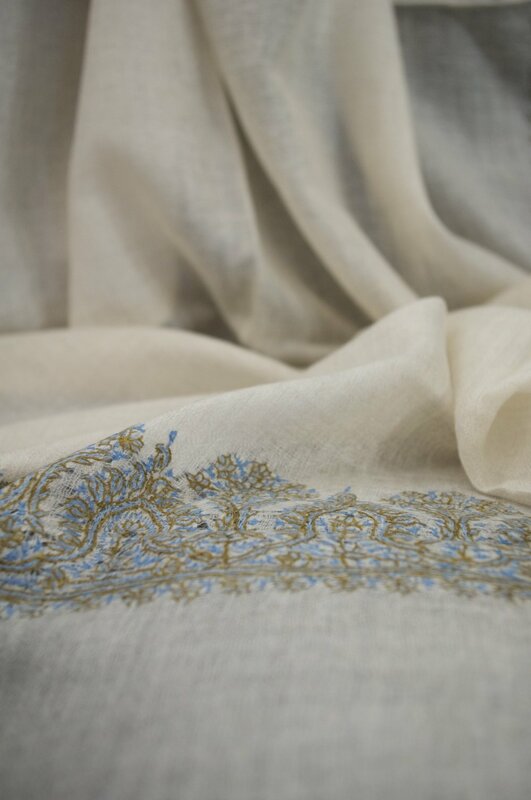 House of JAKI has been working with a family who has been producing beautiful, intricately embroidered shawls for generations. Learning a bit more about the region and it's people and the process of how one of these scarfs or shawls are made humbled me and inspired me. It made me think about the dedication and resilience of generations it takes to keep a craft that has beeb around for thousands of years alive. To get a sense of the arduous process of making just one of this exquisite shawls let me describe a bit of what it entails. The traditional methods used in Kashmir sets them apart from the sorting of raw material to the finishing of the final product. Pashmina is a down fiber or undercoat from domestic goats that are native to India and through the mountainous region of Central Asia. The traditional methods of processing and making the shawls involve pre-spinning processes, spinning, weaving and finishing. Pre-spinning processes include harvesting the fibers which is usually done during the months of March to May when the goats begin to molt. It is done manually by combing and sorting the fibers in which the undercoat and the guard hair are separated. This is usually done manually by women but is being replaced by machine. Then the fibers are combed to remove impurities and straightened to be ready for spinning. Then pounded powdered rice is added, left for a night or two then cleaned off. This is called gluing to add extra strength, moisture and softness to the fiber. Next comes the spinning process. Here the untwisted fibers are converted into yarn usually on a spinning wheel that requires quite a bit of skill. Once the spinning process is completed weaving can take place. Here the yarn can be dyed and then goes through the skillful and meticulous weaving process. The creative aspect comes in at the finishing stage where it can be dyed again or embroidered ,washed and stretched. From collection of the wool to meticulously making them into fibers that can woven together into a comforting and cozy fabric, and yet still more meticulously creating beautiful colors and intricate designs to bring it all together into a masterpiece, you can see how precious one shawl can be. One piece can take several months to make depending on the level of intricacy of the design. Not only do these artisans create these pieces of art, they do this as a means of survival. The quality and craftsmanship of this region in making cashmere or pashmina shawls can not be compared. House of JAKI connects us to this craft and the pieces of art and offers us a chance to experience the beauty and warmth of an authentic cashmere scarf. Take a peek at some of the creative and colorful pieces at www.houseofjaki.com. Creativity sometimes comes out of necessity but it does not diminish the quality and dedication of making something. Many art forms passed down from generations display this combination of necessity and art working together in producing practical and aesthetically pleasing objects. The cashmere shawls are no exception to this. The shawl serves the purpose of keeping you warm while being a beautiful piece of art. If you get a chance to feel one of these shawls you will undoubltly feel the warmth and softness of the fabric. It is the touch of luxury. The weather is changing, Autumn is approaching this is the perfect time to take a peek at www.houseofjakidesigns.com and find your piece of luxurious scarves and shawls. I was recently in Atlanta and after a day of shopping we were left with the question of what we should do next. So I jumped at the chance of suggesting a visit to the Atlanta Botanical Gardens. What was just something to do to pass some time became into an amazing exploration of glass, light and nature. Unbeknownst to us, it was the last night for the Botanical Garden's Chihuly Nights. What is Chihuly Nights you ask? It is an exhibition of these wonderous glass sculptures by the the sculptor Dale Chihuly in all shapes, sizes and color placed carefully thoughout the garden and when it gets dark they light up. We were like kids in wonderland! I had to share some of his work that I had the chance to see with you. Dale Chihuly has led the avant-garde in the development of glass as fine art and has exhibited his work in many museums, botanical gardens with also having installations in major venues and places like the canals and piazzas of Venice and at the Palais du Louvre in Paris. His love for the art shows in his work as it puts smiles on all who sees it. If you get a chance to see one of his exhibitions or installations don't miss it. When I recently read about Jill Pelto an artist and scientist and her work I was instantly captivated. Why, you ask? Well, for a couple of reasons. 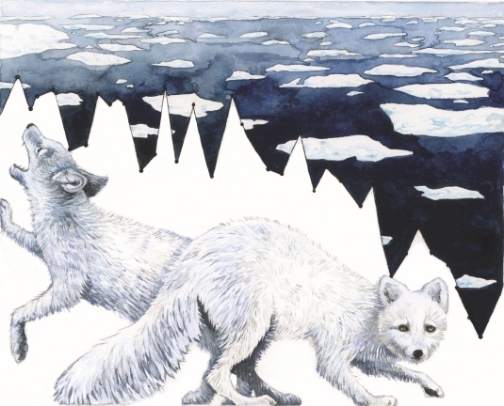 Pelto a graduate of the University of Maine with a double major in Studio Art and Earth Science brings awareness about our beautiful planet, nature and the wilderness by taking climate data and turning it into art and she is doing this by combining two areas of studies: Art and Science. This excites me because being a student of both fields myself I have often pondered about how I could combine the two to create something that spoke to me and to others and it's encouraging and wonderful to see her fuse her love and passion for both. Art is a great way of explaining science, showing us the facts and nuances in a different perspective and that is exactly what Jill Pelto has done. Her art has a serene and soft feel but at the same time has impact. It is literally integrated with scientific data by way of graphs. There is a balance of beauty and message in each piece. It is absolutely beautiful. I recently had the privilege of asking her about her work and getting her thoughts on art, science and creativity. 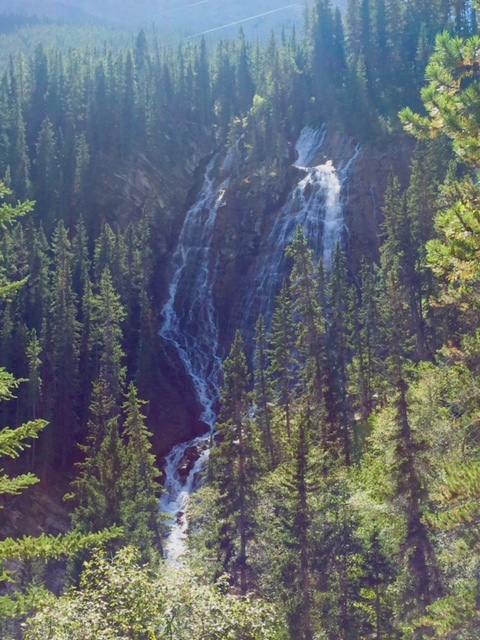 She was kind enough to take some time to answer some questions after returning from her research trip recently on the British Columbia Glaciers. CS: Why choose the form of art to talk about your scientific research? JP: Most simply because I have always been foremost an artist, and art develops a lot of creativity and observation: two skills that translate really well in the sciences. The Earth Sciences revolve around our natural world, and I feel that art is the only thing that can truly capture the wonders, severities, and oddities of our planet. The visual is very important: many people respond to art, but not to a scientific paper. My art can show the basic important information of environmental issues, but is also expressive through its beauty and story. My hope is that this combination of intellectual and emotional content will be meaningful to a broad audience. CS: How did you come up with the idea of integrating graphs and data into your artwork and what was the creative process behind that. JP: I have been exploring effective ways to communicate both my and other’s research through art for several years, and plan to continue to do so throughout my whole career. I had the initial idea to incorporate graphs after I returned in August 2015 from my 7th consecutive year working on North Cascade glaciers with my father, Dr. Mauri Pelto, and his North Cascade Glacier Climate Project (NCGCP). The drought in Washington had absolutely devastated the glaciers and the surrounding ecosystem that summer, and I returned to Maine determined to create a series that could show people just how drastic these changes are. The NCGCP has been working on these glaciers since 1983, and this year when I was looking at the data collected and calculated over 33 years, I realized this sharply declining graph line would translate really well as the profile of a glacier. In this series I also made a piece of decreasing salmon populations, and increasing wildfire activity. I am thrilled by the responses by a broad audience: I’ve heard from people globally who responded to my work, from educators, and from scientists. CS: How would you describe the connection between art and science? JP: Art and science both require a lot of creativity in order to make progress. Creative thinking and planning leads to new ideas, new approaches, and interesting discoveries. Both art and science are also driven by observation: what is happening in the world and how it can be depicted in art, studied through research, and shared and communicated with people. Scientists and artists are both passionate about understanding our world, but go about it in different ways. The scientist makes new discoveries and gains knowledge, and the artist can use their visual and/or audio skillset to share this. CS: How would you describe your creative process. JP: My creative process is varied, and involves finding inspiration through determination. When I choose a topic that I want to make a piece of art about, the final image is the result of a lot of planning, research, and brainstorming. Creativity can come to me in a flash, but most of the time it comes when I continuously push my concept and my imagery. I draw lots of thumbnails sketches, jot down tons of ideas, and also like to think when I’m on a run or ski, using the outdoors and physical activity to help activate my mind. It can be challenging to make work about difficult and important topics, but my passion for environmental change inspires my creativity. CS: In your words what is creativity. How would define or describe it. What does it mean to you? JP: Creativity to me is activating your brain, working it in order to think of something new or different. You can use your knowledge and life experience to combine ideas in really interesting ways. To me it applies to everything in life, even though it’s assigned to the arts. Creativity helps us to truly expand what we are capable of, and to me it is my most important skill, and one that I will never stop developing. CS: What advice would you give to someone searching for ways to be creative in their lives. JP: Be open to the power of determined thought. If you want to achieve something, think hard for as many days as it takes, and in whatever way works best: write down ideas, make word lists, draw, have a discussion, think during exercise. Activating your brain as much as you can allows creatively in all aspects of life. CS: What projects are you currently working on? JP: I am currently brainstorming several new projects while working on a watercolor about increasing Green Energy use in the United States. I want to do a piece about marine birds, and a piece about the rapid changes of the Greenland Ice Sheet. This summer (2016) I plan to create a lot of new work! For more information about Jill Pelto or to view more of her amazing work you can visit www.jillpelto.com. Many people don't regard themselves as creative because the first thing we think of when we think about creativity is art or design. But as we go about our day, we come across many situations and circumstance that require our creativity. Creativity in essence is coming up with a solution to problem or coming up with an idea that is out of the normal way of thinking. It is making something or fixing something. It is finding a new direction from the one you usually take to get somewhere; It is exploring. So as you go about your day, acknowledge the little (and the big things) that you do as creativity. As you prepare a new dish for lunch or dinner, or fix something around the house or use your imagination as you read a novel, recognize it as your creativity. Acknowledge it and immerse yourself in it. You are creative. But what about those who can't recall a specific event or time when they were introduced to this amazing skill or that time where they submerged themselves selves in a creative endeavor? Or those of us who struggle with finding our "passion" as it is often called. Look a little closer. We all have an instance, a nudge, something that draws our attention. It could be from when we were growing up or may not be from childhood, nor does the skill or area of interest have to span a long time of passion for it. It could be something that sparked your interest recently; a story you read or heard that resonated with you, or being inspired by a person or their work that you recently came across. It could be a class that you recently took that awoke something inside of you. And it may be that it is something that you've always been doing but never thought of as your passion. You may even connect the dot's back through your life. Many of us have been conditioned to think that life should follow a certain path or people surrounding us: community, family, etc. sometimes lay out a blueprint and say that this is what life should look like. So we resolve ourselves to that path. But we are all unique individuals with unique paths and we all possess creativity. That creative path may very well be the path that was shown to us but it's more about the way we live that path, with your own unique touch that makes all the difference. When we speak of creativity, it is not limited to art, design and crafting. Creativity encompasses every aspect of our lives. It is the use of our imagination to make things or introduce new ideas, to solve problems or to express ourselves. So look a little closer and allow yourself to be what you are naturally meant to be, a creative being. One way to do this is to explore. When you naturally become curious about something or something strikes you as being fun, explore it. You know when you have that feeling of pure enthusiasm for what you are doing at that moment and it just lights you up from the inside? That should give you a clue to what it is you actually like doing, perhaps even your passion. This may not necessarily be something that will be your career or maybe it is. However it manifests in your life it is something that will help bring a bit if enthusiasm and joy in your life and can add that balance that we all seek. Keep in mind you are not limited to one thing, being creative is possible in everything you do. Bring that dimension into your life, you may discover you have many passions and you may also begin to discover that you enjoy everyday moments. Creativity comes alive when one gives oneself permission. When I find someone that encompasses good design I like to share. Such one creative is Nina Farmer. An interior designer from the the north east. Her design style is what I like to describe as quiet elegance. It's comfortable yet elegant. You can actually live in the space without it feeling like a museum yet it looks like a designer room. If you read through her blog you get the same feeling. You realize that travel is a big inspiration for her. Her composition of a room is spot on; your eye travels throughout the room and everything is just in the right place. Illustrations In books: enhancing or distracting? When are illustrations in a book a hindrance and when does it enhance written content? That is the question I started to think about after watching an interview Debbie Millman did with Malcolm Gladwell and the design team that transformed Gladwell's trilogy, The Tipping Point, Blink and The Outliers with illustrations thus producing an illustrated set of his books. Well thought out Illustrations that complement and not distract the readers are a good thing and can even add value to the book. In today's world of technology books are more and more falling into the grip of the screen. As technology progresses, the physical book has to become more than just mere words on a page. Those pages must come alive. An example of a book that combines illustration with text successfully that I've come across is Elizabeth Gilbert's, The Signature of All Things. The book features some colorful illustrations of plants and some black and white illustrations of plant studies In the beginning of each part. For those who have read the book, this makes sense, being as the entire novel centers around the main character's passion for botany. The design of the book, simple as it may be, adds to that feel of old illustrations of plant studies and of books of that time period. With this particular novel, the illustrations served it well. However in other cases sometimes a story (fiction) left to the imagination can be a great thing. That is what is so fantastic about books, it awakens our imaginations. Another example of a book that uses illustrations to enhance the psychical book is I Wonder by Marian Bantjes. As a matter of fact the illustrations are the main focus for this book. Bantjes is a graphic designer and fully utilizes her love of illustration, photography and design in this book and she went all out with using gold and silver foils on black satin cloth for the cover. In this case, having the physical book is a much better experience than viewing the book on a screen. Besides the fact that illustrations can add value to the physical book, I must also make the point that from the caveman era till now we have been visual beings and so if Illustrations can complement and enhance the written content, I say go for it! It'll make for a much better experience. It may be because a new year is about to begin but this TED Video got me to think that if we were going to do anything different this new year we should try connecting on a different level with our fellow human beings. We should actually try to be nice. Now I'm not saying you have to write a letter to a stranger, but perhaps picking up the phone to say hello or write a handwritten letter, or smile at someone that you happen to cross by that day can make a difference in someone's day. Make someone feel they are worthy of the effort. I'm just as guilty as everyone else in getting a bit lazy with keeping in touch and picking up that phone, it's just easier to use the quick and short social media and there is a place for it and I agree it's a great way to keep in touch. However I think we can balance social media with other modes of communication to connect with people. Mix it up a bit. Imagine how a simple act of kindness can make a huge difference not only to someone else but to yourself. The sense of connection and interaction with others is something we all crave. So at a dawn of a new year, let's remember that we can usher in happiness and joy with a little effort. Remember live each day with just as much excitement as celebrating the New year, because every day is new day. Create and connect!! Happy New Year! One day as I was flipping through channels, I happened to stumble onto 60 Minutes. The story that they had on at the time caught my attention. It was about this enthusiastic and talented 35 year old playwright, Lin-Manuel Miranda who took the life story of Andrew Hamilton from a book he picked up while on a vacation to Mexico and made it into a hip-hop, singing, dancing production. He was so enchanted by Hamilton's story after reading Ron Chernow New York Times best selling biography, Alexander Hamilton, he put on his creative cap and brought to life a contemporary, full of life musical. HIs approach in telling the story of the first Secretary of Treasury of the United States with hip-hop songs, dance numbers and a multi-racial cast was inventive and creative. And his enthusiasm for this project compared to none. What impressed me was his excitement for the historical figure and his unrelenting determination to tell the story through new, fresh eyes…his eyes. You could see the excitement and joy on his face as he talked about his project. He wrote the lyrics to the hip-hop style songs, he played the main character Andrew Hamilton and brought this musical to life with creative flair. He is one to definitely keep a look out for. Take a look at the video below of him debuting a song from the album that led to the musical in front of President Obama and the First Lady among other White House officials and guests. Are you one of those people who have multiple passions? Do you feel overwhelmed because you think that you have to choose one and settle with it? Sometimes I feel like that's me. And so when I came across a refreshing TED talk (you can see the video below) by Emelie Wapnick that talks about "multipotentialites" as she call those with multiple passions It brought a smile to my face. She let's us know that it's okay and is actually a good thing to have many passion over a lifetime. Listening to her viewpoint on the subject gave me a boost of encouragement. Intersecting passions can lead to out of the box creativity and in a constantly changing world this is something that is needed to progress and change and discover. Learn from every passion. So go on, explore your passions. See where they take you. It might be end up as an amazing and unexpected adventure. I would love to here from anyone who has taken their different passions and combined them to create innovative projects. As a huge fan of movies, I had yet to discover the world of short films. I never gave much thought to them until I came across a few that really facilitated an appreciation and curiosity for them. I began to wonder about being able to convey a story, situation and/or subject matter in a span of minutes compared to a whole feature film. It's challenging yet quite impressive when done right. Now, I'm no expert on the subject (since my interest in the shorts is a recent one), all I can do is share and talk about few that have sparked my interest and about a friend who is just beginning his journey in this world of short films in hopes that it may encourage you to take a second look at short films. In the season of film festivals, there are many short films to look forward to, one in particular I am excited about is The Answers, a film by Michael Goode and Daniel Lissing. A story of life, death and love lost all in a span of about 8 minutes or so. My curiosity is peaked. With a few awards already under it's belt, it's one to look out for. There next film festival is today in LA. at the LA Shorts Fest. For more information on this film check out there Facebook page, https://www.facebook.com/theanswersmovie/timeline. Another upcoming filmmaker is a friend of mine from Filo Pickens Productions, Phillip Abraham. His short film Buzzed is debuting at the Austin Revolution Film Festival this month as well. It's inspiring to witness his journey as a film maker, enjoying what he does and using his creativity to bring something to life. Wishing you well Phillip. You can learn more about Buzzed and Filo Pickens Production at http://www.filopickens.com . Book: Spark How Creativity works. Have you ever thought about that moment that ignited inspiration that led you to do incredible work; Have you ever wondered about what led someone to accomplish some form of creativity that speaks to or touches others. It can be a particular situation, a person, an event, a struggle…. Well I am reading a fabulous book called Spark by Julie Burstein that talks about just that. In this remarkable book are stories of artists, actors, singers, etc….and their creative process. How their creative journey began, what motivated them, what kept them going, what led them to their successes. Their stores help us realize that spark can be found in the likeliest as well as the unlikeliest ways. So far I am enjoying this book and can't wait to continue on reading more of the stories of these wonderful people and discover a little more on how creativity works.